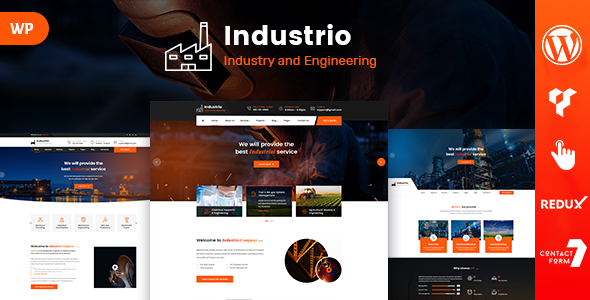 Industrio – Industry, Factory & Engineering WordPress Theme developed specifically for all types of industry, engineering or machinery businesses. Well-structured code and easy to use documentation help you to get a great business website. We built this theme on Page Builder, a very convenient drag-n-drop Page Builder for WordPress. It should provide you with the smoothest experience while creating your website with our theme. The WordPress theme is responsive, you can view it also in the mobile/tablets devices and it looks very in more devices.